If you love Italian food and wine, you should definitely head to the Parma area, about an hour from Bologna, here in Emilia-Romagna, on your next trip to Italy! 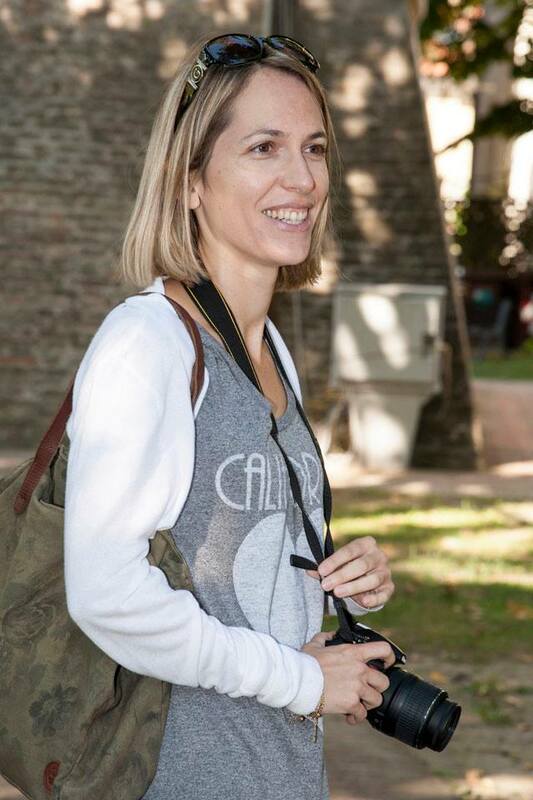 The Parma area, also known as the “Food Valley”, is home to some of Italy’s most famous food products, including Parmigiano-Reggiano, Prosciutto di Parma, Culatello di Zibello, fresh, hand-made pasta, as well as other delicacies, such as Spalla Cotta di San Secondo and Borgotaro mushroom, perhaps less known abroad, but just as exquisite. Food artisans here take pride in their work and pass down their skills from one generation to the next. Many businesses are family-run – just consider that at the helm of Barilla, the biggest pasta-making company in the world, are three brothers, the fourth-generation descendants of founder Pietro Barilla, who started the company in 1877 in Ponte Taro, near Parma. The Parma area boasts the highest number of certified food products – the prestigious DOP and IGP labels, which guarantee and help protect the quality of a product. Therefore, let’s look at some of the delicacies hailing from this area you don’t want to miss! They say it’s “a masterpiece of the art of charcuterie”! Prosciutto di Parma is a completely natural food; it doesn’t employ any of the additives or preservatives that are often used in the preparation of meat, and it is therefore suitable for anyone thanks to its excellent nutritional qualities (in Italy, Parma ham is often included in diets). The skills of the maestri salatori during the salting process and the dry and gentle air of the Parma hills contribute to give prosciutto di Parma its unmistakable sweetness and delicate taste. Perfect as an appetizer, Prosciutto di Parma can also be a meal in itself (think the classic summer dish “prosciutto e melone”, ham and melon), or transform “ordinary bread into a sandwich suited for a king” (I read this in a booklet and just loved it! ), and is a favorite of chefs for their culinary creations. 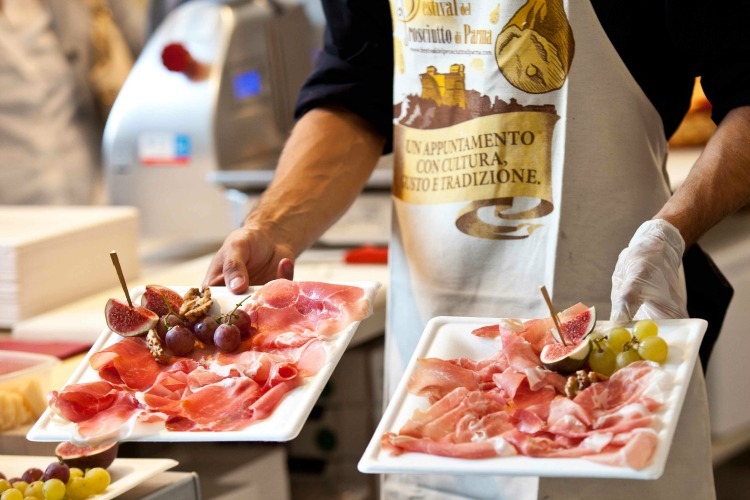 Which wines best match prosciutto di Parma? 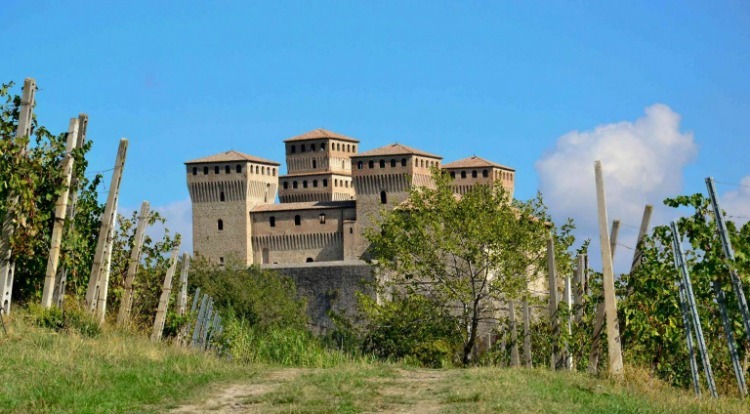 Both red and wines from the different Italian regions will work, but for a match made in heaven go for the locals: a fruity Lambrusco, a dry Malvasia, or a sweet Fortana from the hills of Parma and Piacenza. The king of cold cuts! 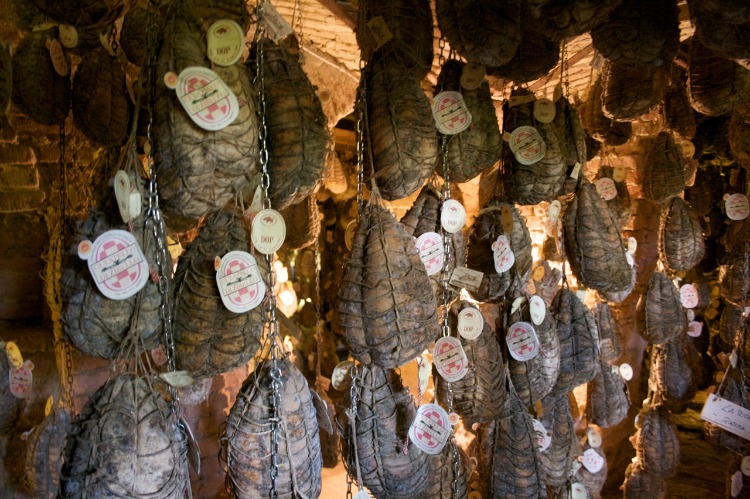 Culatello di Zibello is the result of the unique micro-climate of the “low lands” lying along the Po river (“la bassa parmense”): long, cold, humid winters, shrouded in fog, a determining factor for the aging of culatello, and sweltering summers. Only eight towns here can produce culatello: Busseto, Polesine Parmense, Zibello, Soragna, Roccabianca, San Secondo, Sissa and Colorno. Culatello, which is made from the leanest part of the thigh of selected local pigs, is soft, with a sweet and velvety flavor. Culatello is best appreciated by itself. Slice it finely and put a whole slice in your mouth. You will be able to better appreciate all its flavors and aromas this way; it is said that a good culatello will leave its taste in your mouth for at least half an hour. If you wish to accompany it with some other food, get a good white bread that is salty enough and not too acidic, in order not to compromise the taste of the culatello. Another classic combination is to eat it with a knob of butter and a local red wine, medium-bodied. This ancient cold cut, already appreciated by the Romans, and a favorite of celebrated opera composer Giuseppe Verdi, who hailed from this area, takes its name from the small town of San Secondo, the epicenter of spalla production. Obtained from the front shoulder (“spalla”) of the pork, strictly by a hand-made process, after being boned, trimmed and salted, Spalla di San Secondo is left to age for a short period of time. Later, it is cooked for several hours in Fortanina wine and water with the addition of natural spices, giving the final product a soft texture and a scented aroma. Spalla Cotta di San Secondo is generally served hot, sliced thickly, and accompanied by warm bread, polenta, or, even better, the local torta fritta (fried dough). It makes for a great appetizer and it’s fantastic with a glass of the local wine Fortana del Taro della Bassa. Spalla Cotta can also be tasted cold, in which case, it should be cut neither too thick nor too thin, so that the salume almost melts in your mouth and you can fully appreciate its sweetness. If you’re from this area, fresh pasta is in your DNA! The keeper of this hand-made tradition is the “rezdora”, the queen of the house, who knows all the secrets of the dough and how to use the rolling pin to create such masterpieces as tortelli, anolini and tagliatelle. It was in the Parma area, precisely in Ponte Taro, that Barilla, the world’s leading pasta maker, was founded in the 19th century, making a strong pasta tradition even stronger. A classic recipe that you must try is “tortelli di erbette”, mentioned even by the Renaissance cook Bartolomeo Scappi in his seminal work “Opera dell’arte del cucinare”: a veil of egg pasta holding a soft filling of ricotta cheese and herbs inside – the dish is to be seasoned with butter and Parmigiano Reggiano. Simply delizioso! Or, the king of Italian cheeses! 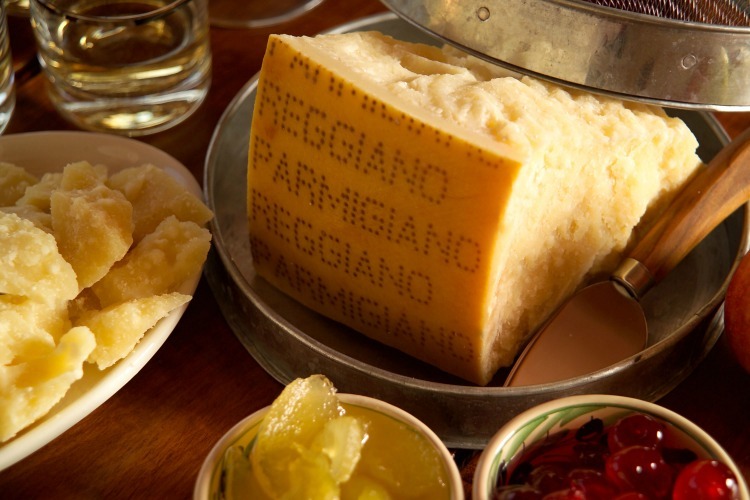 Authentic Parmigiano-Reggiano can only be produced in one area of the world, specifically in the provinces of Parma, Reggio-Emilia, Modena, Bologna on the left side of the Reno river, and Mantova on the right side of the Po river. 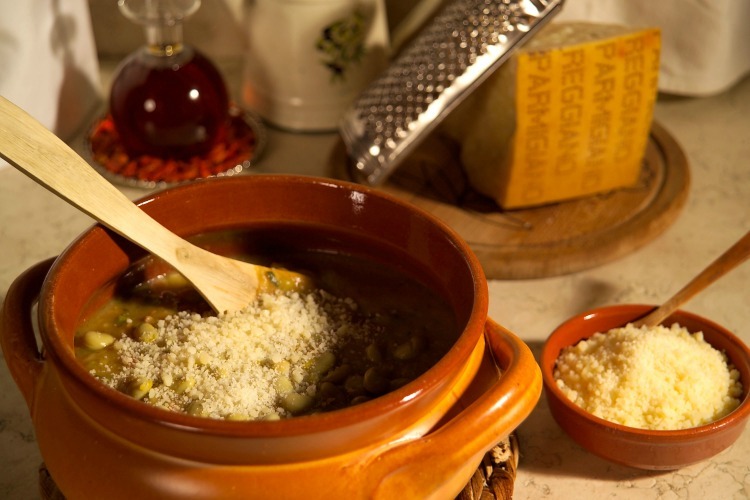 Only Parmesan cheese produced here can obtain the PDO certification (DOP in Italian), fire-branded on the wheel of the cheese. Go for a Parmigiano aged 18 months for a more delicate flavor, 24 months for a soft and crumbly texture (my favorite), 30 months or longer for a sharper taste. Its name derives from the small town in the province of Parma, Felino, in the Baganza Valley, where this cold cut was born and where an entire museum has been devoted to it, inside the Castle of Felino. 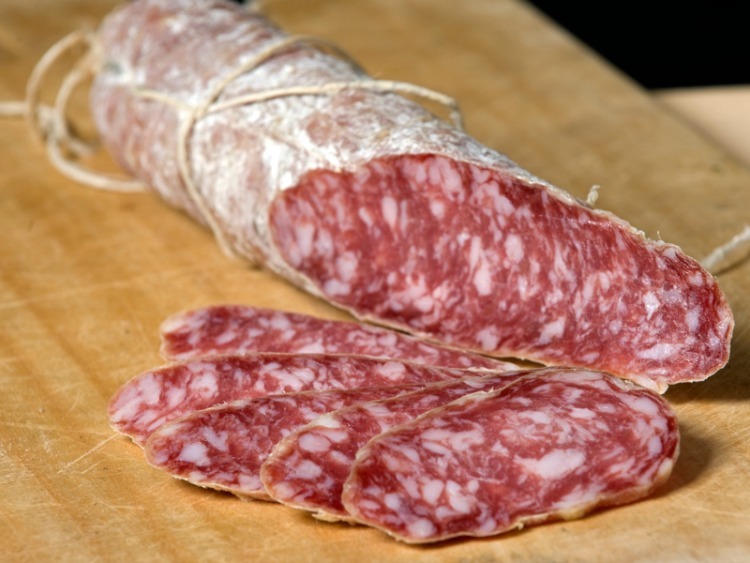 This salame, which has been produced here for centuries, has a perfect balance between the fat and the lean parts, and is left to age for at least 25 days, resulting in a soft texture, sweet taste and delicate aroma; it should be sliced at a cutting angle of 60 degrees in order to highlight the grain of the ground meat. 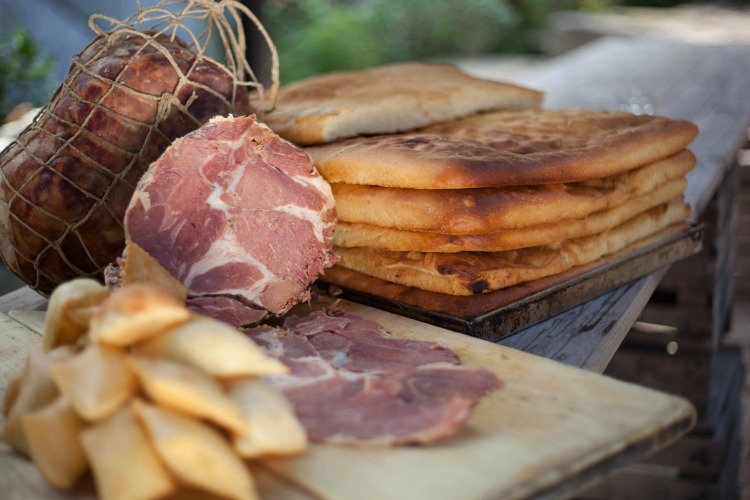 Salame Felino is a great appetizer and it is wonderful simply with bread or the classic torta fritta (fried dough). 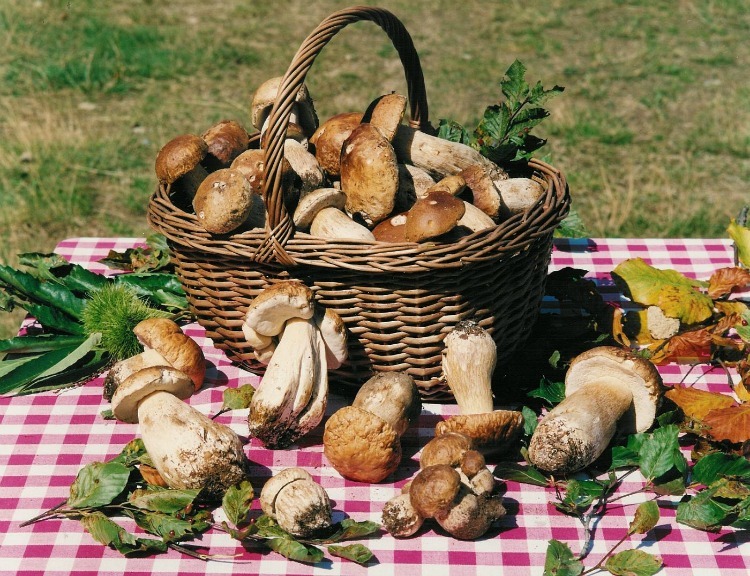 Around Borgotaro and its valleys, this excellent porcino mushroom grows in the woods and lush forests rich in beech, chestnut, oak, hazel, poplar and conifer trees. Its exceptional softness and delicate, sweet flavor tells it apart from other mushrooms, and it is widely considered superior to other porcini for its organoleptic, olfactory and aromatic qualities. Its use in the kitchen is varied: it can be eaten raw, grilled, sautéed, baked, fresh or dried; it can be used for risotto and pasta recipes, added as a topping on pizza, or accompanied with meat or vegetables; whatever its use, it is sure to enhance many dishes. 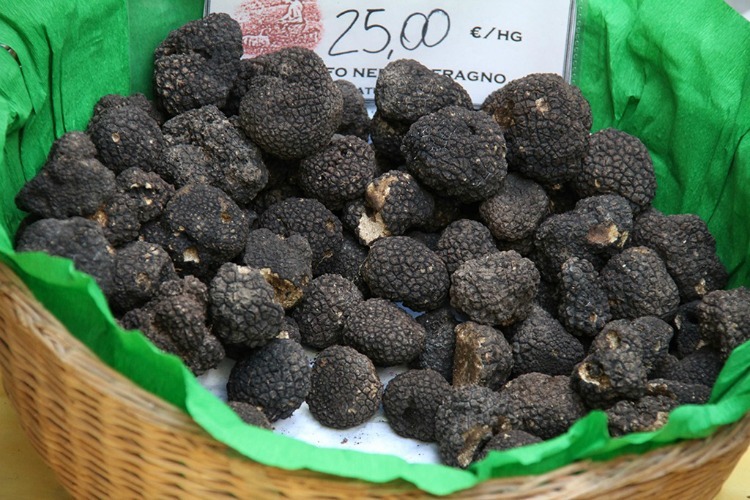 Among the more than 100 varieties of truffle, Fragno is among the best known – and among the most delicious! It grows 10 to 12 feet underground, in a symbiotic lifecycle with the roots of oak, walnut, birch, wild cherry and beech trees, which grow along the damp, cool slopes of the Baganza and Parma valleys, on calcareous soil. It is collected from late September all through winter, with the mandatory aid of trained dogs. It can be stored for months and accompanies and enhances many recipes, from appetizers to meat dishes, eggs or risotto. It is used in many local primi piatti (tortelli, tagliolini, tagliatelle, risotto), added to sauces and gravies in meat dishes, or simply grated or sliced on almost anything – the best combination? 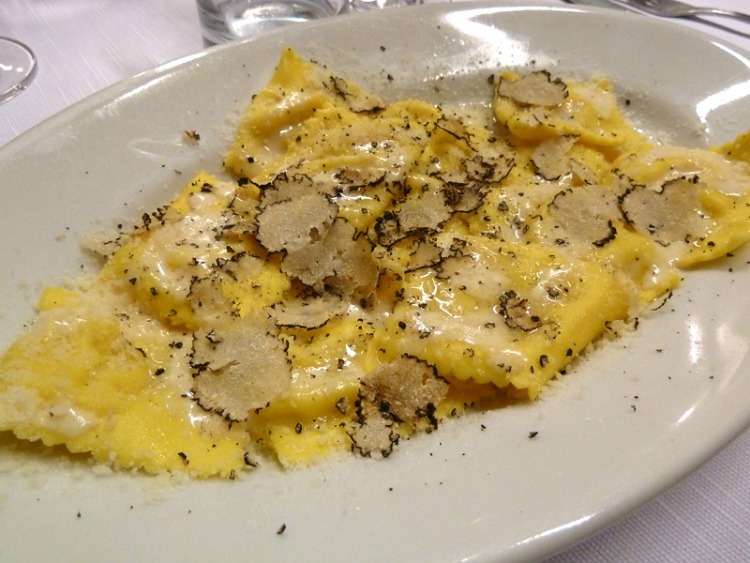 Tartufo and Parmigiano Reggiano, of course! Malvasia: Aromatic white wine, characterized by many fragrances. The dry version goes well with appetizers, pasta, white meat and fish. The most famous version is Malvasia di Candia. Barbera: Ruby red wine with an intense color. Dry, full-bodied, intense flavor. It is excellent with boiled pork and roasted lamb. Bonarda: Ruby red wine with a fruity bouquet and a flavor that varies from dry to sweet. Ideal with pasta with meat sauce, roasted meat and sharp cheeses. Lambrusco: Red wine, ranging from a ruby to intense red color, it has a fruity to floreal fragrance, a pleasant acidity and a moderate alcoholic content. The regular version (fizzy) pairs well with pasta with beans (pasta e fagioli) and boiled meat, while the spumante and semi-sparkling versions are excellent with appetizers, cold-cut meats and medium-aged cheeses.